The pair dropped a studio version of "Bury It" this week. CHVRCHES have just unveiled a studio version of their track "Bury It" now featuring Paramore's Hayley Williams. The song is taken from their upcoming reissue of excellent second album "Every Open Eye" and gives us further evidence that Hayley Williams and Lauren Mayberry are the best friends we all want to be. Remember when they first played together? Or when Hayley retweeted this cute art of the two of them? Or when CHVRCHES stopped by Parahoy! and did the tune live? We NEED to go to this next year. 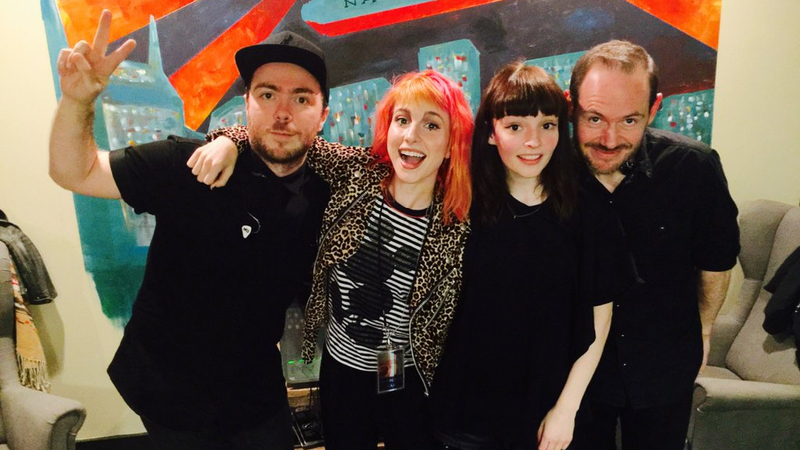 Or when CHVRCHES played a Paramore song on Rock Band? Hayley and Lauren - the ultimate in friendship goals! Wait...Is Zac Farro Actually Back In Paramore?